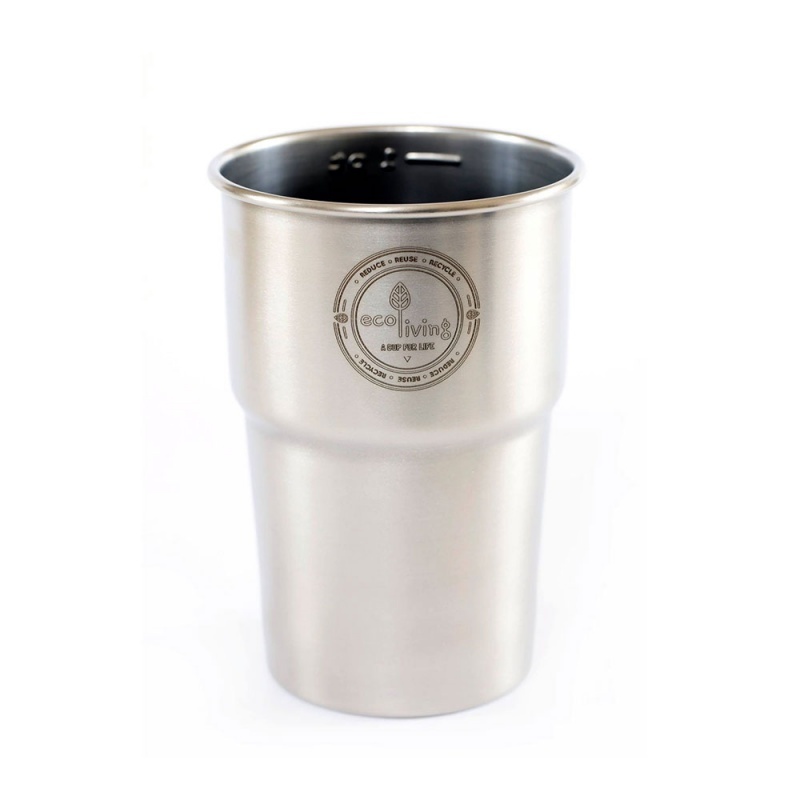 Stainless Steel Pint Cups. Designed and Made in the UK from high quality, UK sourced Recycled Food Grade 304L Stainless Steel. These smart cups are sustainable, reusable, non-toxic and non-leaching. Replaces the need for single use plastic cups. 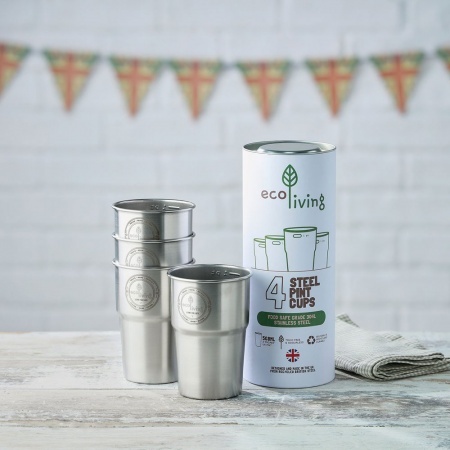 The 4 pack comes in a smart recycled tube packaging, plastic-free and 100% made in the UK. 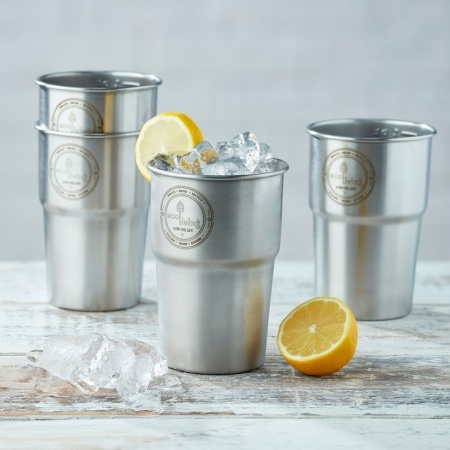 Stainless Steel Pint Cups. Designed and Made in the UK from Recycled Food-Grade British Steel! Made from high quality, UK sourced Recycled Food Grade 304L Stainless Steel. These smart cups are sustainable, reusable, non-toxic and non-leaching. Save tonnes of unnecessary single-use plastic from entering landfill. Perfect for refusing disposable cups at festivals, picnics, food outlets, camping, trekking or at any outdoor event. Handy for buying package-free ice cream, smoothies and slushies or a pint of beer! Use at deli counters for a package free lunch! Switching to Reusable/Recyclable Cups at UK events would save more than 100 Million plastic cups from landfill each year. This endlessly recyclable cup will massively reduce plastic pollution. 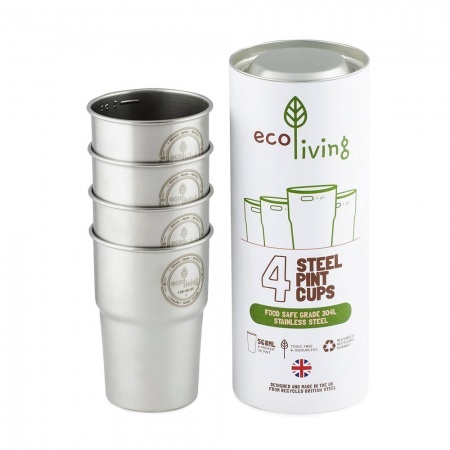 The 4 pack comes in a smart recycled tube packaging, plastic-free and 100% made in the UK. The single cup has no packaging.